I originally intended to describe this post as a book review, but really it isn’t. It’s a blagger’s guide for those that haven’t read the book in question, (Seeing Further: The Story of science and the Royal Society edited by Bill Bryson) or who have read it, but need reminding of the contents. If you want to read a proper review then I suggest Clare Dudman’s review at Bookmunch. 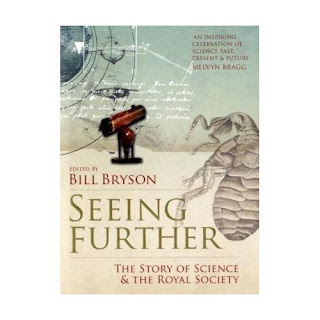 Seeing Further is a collection of essays from a wide range of authors, all relating in some way to the Royal Society which celebrates it’s 350th anniversary this year. I’ve read other work by most of the authors – they are all excellent. Since I’ve written notes on each chapter this has become quite a long post, so I’ve broken it into two parts. Part two can be found here. Bill Bryson starts things off with an introduction, providing a brief sketch of the history of the Royal Society and introducing a few of the distinguished fellows. His favourite is Reverend Thomas Bayes. Bayes’ most important work was on probabilities, published two years after his death in 1761. Few will have heard of Bayes, but his work is central to modern statistics. I must admit this chapter made me curious as to the origins of other learned societies across Europe. Then the fun begins with James Gleick, who has written excellent books on chaos and Richard Feynmann amongst many other things. He writes of the Society as an earlier version of the internet and the first place where people started recording and communicating observations systematically. They also conducted their own experiments. The international reach of the Royal Society was an essential component, managed effectively by it’s first Secretary, Henry Oldenburg. Perhaps wisely the fellows instituted a ban on discussing religion or politics. Margaret Atwood writes about the development of the idea of the mad scientist as portrayed in the 50’s B-movies. She sees the Royal Society, satirised by Jonathan Swift as the Grand Academy of Lagado in Gulliver’s Travels, as the link between Dr Faustus and the modern mad scientist. Travelling by way of Mary Shelley’s Frankenstein and Robert Louis Stevenson’s Dr Jekyll and Mr Hyde. These days it is broadly a given amongst scientists that the physical laws they determine here on earth extend throughout the cosmos. Margaret Wertheim writes on the genesis of this idea, the point when the boundary between heaven and earth was removed in mens minds and the heavens and earth started to be considered as a continuous whole, obeying the same physical laws. This transition had largely taken place prior to the formation of the Royal Society. Neal Stephenson writes on Gottfried Leibniz and his monads. Stephenson is author of The Baroque Cycle, a historical science-fiction trilogy set around the time of the founding of the Royal Society with many of the early fellows featuring as characters. Monadology was Leibniz’s philosophical program for understanding the universe, looked at with a modern eye one can see intriguing insights but ultimately our current understanding of the universe is quite distant from Leibniz’s conception of monads. Nowadays it’s recognised that Leibniz and Newton invented calculus independently and simultaneously, although Leibniz published first. The priority in this area was greatly disputed, with the Royal Society standing firmly behind Newton, latterly their President. Next up is Rebecca Newberger Goldstein on how the establishment of the Royal Society marked the coming together of the rationalists, whom we would probably call theoreticians now, and the empiricists, or experimentalist in modern parlance. Contrasting these two more modern movements with the teleologists of ancient Greece who believed that the world was designed with a purpose and so their philosophical program was to identify the purpose of all things and the progress of those things towards their final ends. Although the teleologists observed, they tended to do so passively whilst the empiricists actively experimented: setting up nature to reveal underlying processes. The immediate precursors to the Royal Society were represented by empiricists such as Francis Bacon, William Gilbert, and William Harvey and the rationalists represented by Nicolaus Copernicus, Johannes Kepler, Galileo Galilei and Rene Descartes. John Locke, Isaac Newton and Robert Boyle are cited as those at the forefront of the debate on what constitutes an explanation during the forming of the Royal Society. Now for Simon Schaffer who tells a tell about the use of scientific advice for public policy development, and public dispute over that advice. The story is set around the tale of a lightning strike in Norfolk which struck the Heckingham House of Industry (a workhouse) on 12 June 1781, causing substantial damage. The building was protected by pointy lightning rods, as recommended by the Royal Society and the tale is of much internal bickering as to whether the lightning rods had been installed properly or whether the advice given by the Society was wrong. This was highly relevant at the time since, for example, you’d want to be really sure of your lightning protection if you ran an arsenal, full of gunpowder. Also interesting is who the fellows of the Royal Society trusted to give eye-witness statements: gentleman! Schaffer never really resolves the issue of the accuracy of the advice but highlights the parallels of this argument with modern arguments about evidence-based policy and how best to make recommendations based on science. We move on to Richard Holmes, who writes about ballomania. This is the name coined by Sir Joseph Banks, recent president of the Royal Society, for the enthusiasm in France for balloons of both hydrogen and hot air during the 1780’s. Outwardly Banks was dismissive of balloons, but in private he appears to have been keeping a close eye on developments. Ultimately the lack of navigability meant that interest in balloons waned. This chapter reminded me that Benjamin Franklin is someone of whom I need to know more, Franklin was Banks’ correspondent in Paris where much of the balloon-y action was based. Another snippet, Aeropaedia, published 1786 records a balloon flight from my now home-town of Chester. 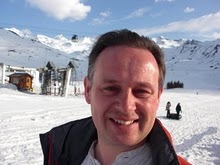 Richard Holmes is the author of The Age of Wonder, on which I wrote earlier. Richard Fortey is up next, author of Dry Store Room No. 1, which is about the Natural History Museum, given this background it’s unsurprising that he writes about scientific collections. Well-curated collections of real objects are of critical importance to science. Fortey’s chapter explains the role that the Royal Society played in setting up such collections, principally through the work of Sir Hans Sloane, a president of the society, whose collection was to form the basis of the Natural History museum via the British Museum. Sir Joseph Banks makes an appearance, for his work in setting up the Royal Botanical Gardens at Kew, as does Carl Linaeus father of taxonomy. Richard Dawkins, who needs no introduction, writes on the claims for precedence in the discovery of evolution. It’s relatively well-known that Alfred Russell Wallace spurred Charles Darwin into action by sending a manuscript to him which captured the core idea of evolution. Darwin’s great achievement was the full length exposition of the theory, backed with experiments, in On the Origin of Species. Perhaps less well known are Edward Blyth, who believed that natural selection stabilised those species created by God (which is not really evolution) and Patrick Matthew, who mentions an idea of evolution quite similar to Darwin in the appendix of his book Naval Timber and Arboriculture but seems to have little idea of its significance. Here endeth the first part of this review, feel free to get up and move around, perhaps have a cake and a coffee. Then move on to Part 2. I beg to differ, Dr. SomeBeans – this IS a book review, and a very excellent one it is too! It brought it all back. And thanks very much for the mention. @Clare it's very generous of you to say so. Reading it back it feels like a 5 year old describing his holiday… and then I did this… and then I did this.. and then I did this! Hopefully it'll be a useful reference though.